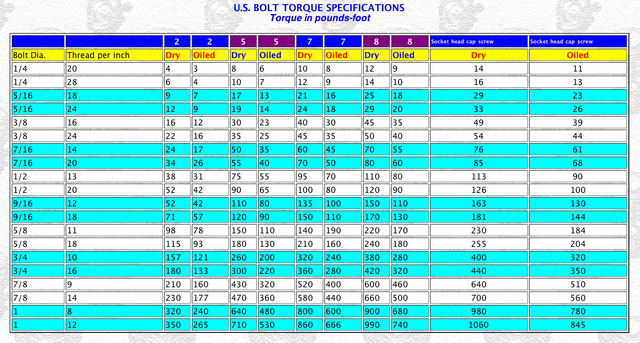 Ever wondered what might be the correct torque spec for fasteners that aren't specifically mentioned? I felt this information was good enough to share. Top line indicates grade, of course.